Cranbury Landcare group currently covers 21,000 hectares and is centered on the Cranbury Church and Hall 20 kilometres north of Canowindra off the Cudal Road. Most members are mixed livestock and cropping farmers. Cranbury Landcare started in 1992 after a series of wet years caused some serious outbreaks of dryland salinity. Over the following ten years the group undertook workshops on various topics such as property planning, soil health, conservation farming, tree planting, fox baiting, natural regeneration of box woodlands. In partnership with the then Department of Natural Resources, an electro magnetic survey was carried out to pick up areas of high salt concentration. Monitoring bores were also put in to enable recording of water table levels. Later the group were involved in the sustainable grazing of saline lands project with two sites selected in our area. The focus of Cranbury Landcare is firstly to support members by getting together three or four times a year for a chat, and secondly to help members make their holdings more profitable and sustainable. Following a recent survey of members, the group have become involved in making expanded crop systems more sustainable. To this end they were successful in obtaining a grant through the Caring for Country Sustainable Agriculture Stream to fund a project to test for chemical resistance in weed populations and to investigate non chemical means of control. 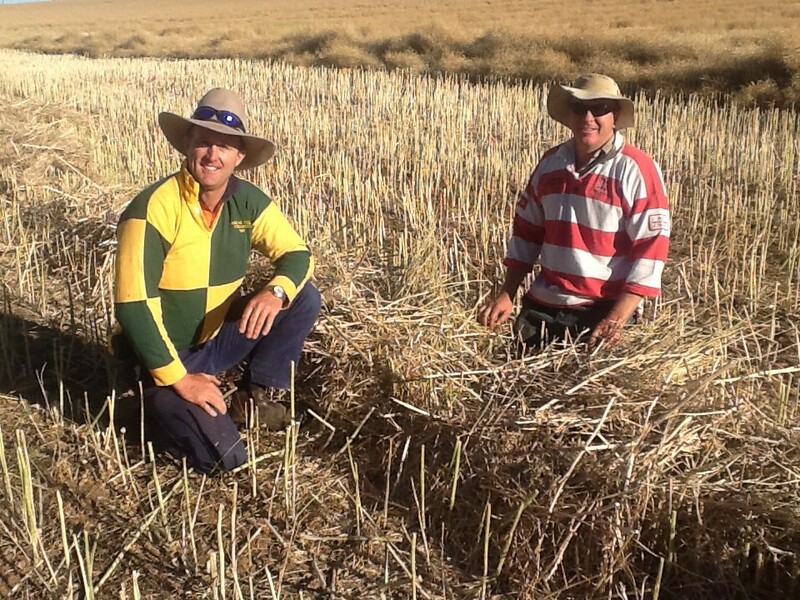 During the first week of September 2014 twelve members are going to WA to attend the Western Australia No Till Farmers Association Spring Field Day.